Here are a few sample images of the Fashion Photography works of the learners of Diploma in Photography full-time programme of Ambitions 4 Photography Academy. This is a sample model portfolio shoot done for Mr.Dinesh – and aspiring Actor exclusively by one batch of learners namely Palak Chopra, Pradeep Kumar D.,Udhaya Kumar M. and Vignash V. The learners are trained to handle various equipment in the studio to shoot People for various purposes like Portraits, Model Portfolios, Fashion etc. Each picture has been shot and digitally processed by the learners thereby helping them in the effective planning and execution of the shoot. The images should be captured between the date of announcement of competition and the date of submission. Images will be short listed by the jury and will be published in Ambitions 4 Photography Academy Facebook page for public voting. Winners of the month will be based on the maximum number of likes for the image. The shortlisting of the images will be based on the content value, aesthetics and technical quality of the images. The responsibility of copy-rights, legal issues and permission to share in the internet related to the subjects featured in the images will be with the participants. The organizers of the photo contest are not responsible for any issue related to the details mentioned in point eleven of this document. Images can be submitted by email: contests.a4@gmail.com with the topic in the subject. Name, email, mobile number and contact details of the participant should be clearly mentioned in the contents. Entries without complete details will not be considered. The original/RAW files of the selected images should be mailed on request for verification. ‘Ambitions 4 Photography Academy’s Photographer of the Year’ will be selected from the winners of the twelve months. The current full-time students of Ambitions 4 Photography Academy are not eligible to participate in this contest. Top five images of every month will be reviewed and featured in the Academy’s Blog in the ambitions4.com website. 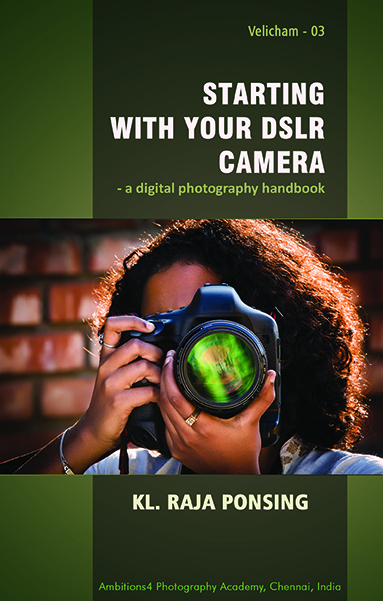 “Starting with your DSLR camera” – Photography Book released on 1st February 2015Author: KL. 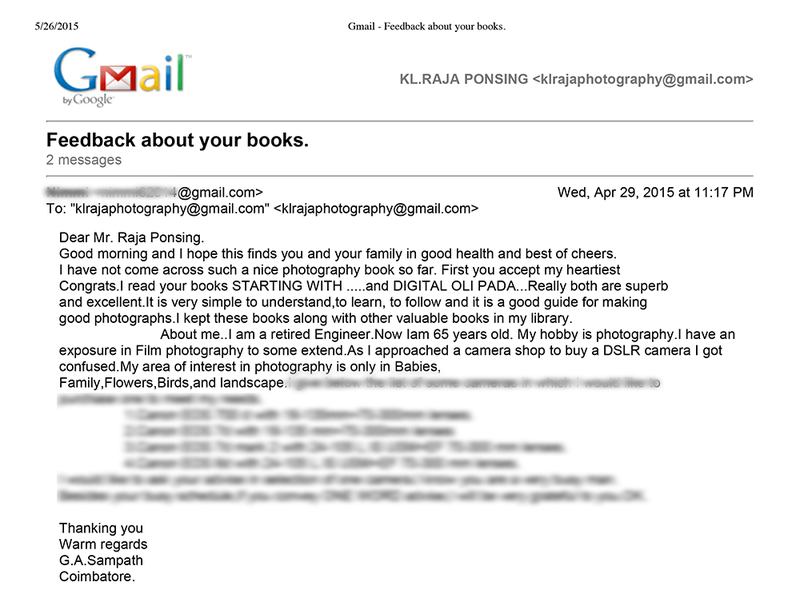 Raja Ponsing, Ace advertising photographer via Starting with your DSLR Camera – a digital photography handbook. Feedback about the book from one of the readers. Good morning and I hope this finds you in good health and best of cheers. I am a retired Engineer. My hobby is photography. I have an exposure in Film photography to some extent. I have not come across such a nice photography book so far. First, you accept my heartiest congrats. I read your books STARTING WITH …..and DIGITAL OLI PADA…Really both are superb and excellent. It is very simple to understand, to learn, to follow and it is a good guide for making good photographs. I kept these books along with other valuable books in my library. Sunrise shot by Arul M.
HOW TO SHOOT THROUGH GLASS?